Last fall TED-Ed started publishing a series of lessons titled "Why Should You Read..." The series features TED-Ed lessons that explain the significance of classic works of literature. When I last wrote about the series it contained seven lessons. The series is now up to nine lessons. 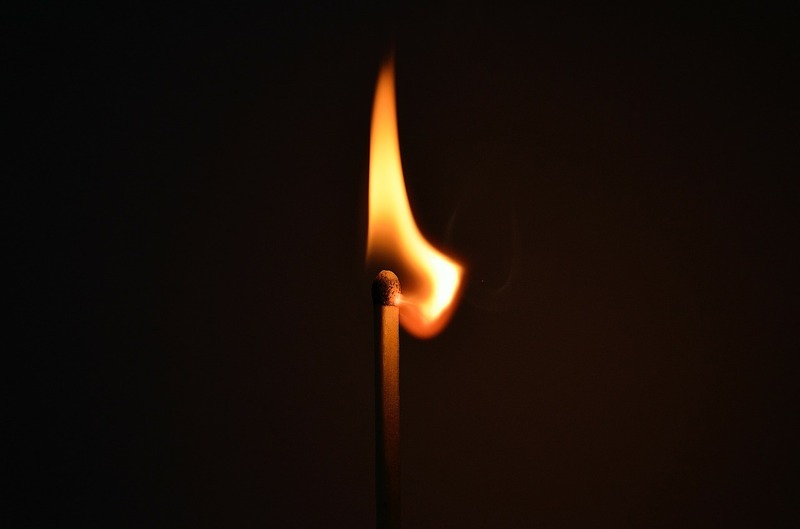 The latest lessons are about Fahrenheit 451 and the works of Flannery O'Connor. Those lessons are linked and embedded below along with the seven other lessons in the series. Why Should You Read Fahrenheit 451? Why Should You Read MacBeth? Why Should You Read A Midsummer's Night Dream? Why Should You Read "Waiting for Godot?" Why Should You Read "Don Quixote?" Everything You Need to Know to Read "The Canterbury Tales." 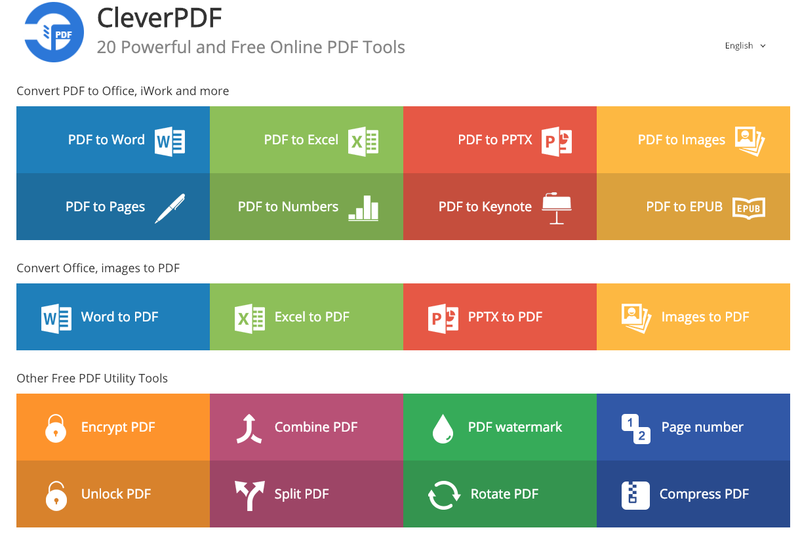 In addition to turning existing PDFs into other formats, CleverPDF can be used to convert other files into PDFs. For example, you can use CleverPDF to create PDFs from Word, PPTX, Excel, and images. 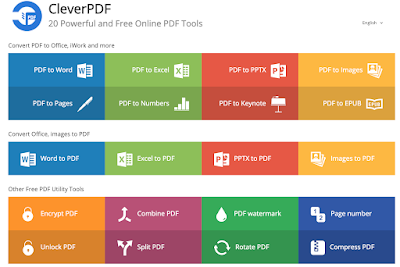 And if you already have a PDF, but need to modify it, CleverPDF has tools for that too. CleverPDF will let you combine PDFs, split PDFs, apply watermarks to your PDFs, and encrypt your PDFs. I used CleverPDF to convert one of my PDFs into a Word document today. It was quick and easy. I didn't have to register on the site or enter my email address in order to convert my PDF and then download the Word document. CleverPDF could be useful for applying watermarks to draft documents that you want to send to colleagues for review. Of course, it could also be a good choice when you need to convert a PDF into an editable format. The Super Bowl is this weekend. 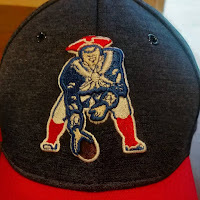 My prediction is that the Patriots will win. I'm guessing that my American readers have a student or two who has an interest in the game too. Try one of the following resources to turn your students' enthusiasm for the Super Bowl into a fun lesson. NBC's Science of Football is a series of ten videos from NBC Learn explaining and demonstrating math and science concepts as they relate to football. The list of topics covered in the Science of NFL Football includes Torque & Center of Mass, Pythagorean Theorem, Geometric Shapes, Projectile Motion & Parabolas, Vectors, Kinematics, Nutrition, and Newton's 1st, 2nd, and 3rd Laws of Motion. Choosito has a lesson plan that asks students to investigate the causes and effects of concussions. The lesson includes studying the trends in concussion diagnoses and treatments during the last 20 years. Practical Money Skills hosts a series of eight online games designed to teach students some money management skills. One of the games that is timely considering that the Super Bowl is just a few days away is Financial Football. Financial Football has students answer questions about budgets, savings, and spending to move their football teams down the field against another team. The games use real NFL team logos. Financial Football takes at least twenty minutes to play. The Superb Owl is a cute video about owls. The video presents interesting facts about four types of owls. The whole four minute video is presented as if it is an NFL pre-game show. One of the dangers of playing football is the risk of head injuries. TED-Ed has a good lesson that explains what happens to your brain when you get a concussion. NFL Play 60 Kids Day Live is a virtual field trip happening today at 12pm Eastern Time. The free virtual event will take kids on a tour of the field where the Super Bowl will be played. Throughout the tour there will be appearances from NFL players and cheerleaders who will share tips for staying physically active and healthy. You can register for the virtual field trip right here. For those who cannot attend the live broadcast, the virtual field trip will be available on-demand at a later date. And there are lots of related lesson plans that you can download and other videos that you can view on-demand on the NFL Play 60 Teachers' page. There are lesson plans that can be used in elementary school and middle school physical education, science, math, and language arts.